Yah! It’s finally Spring Break and I have big plans. I had a bunch of friends over to start the break. For the next several days, I am going to stop working on my blog, stop working on my school work, and focus on taking some serious time off. I know some of you have breaks at different points in the school year. To you, I say, hang in there. For the rest of you, who have a week or two off — congrats! I’m sure you’ve earned a break. I hope you get a chance to fill your time with some of your favourite things. My “big plans” are pretty chill and that’s what makes them so exciting. I’m going to be spending time playing video games. I’ll also be hanging with my bros and my friends, and try to head out for some spring skiing. For a lot of us, video games are a big part of how we want to unwind. It might drive our parents a bit nuts. If you can, try playing with friends online (or in the same room), it doesn’t matter, it’s just more fun when you find some people to talk to. If you don’t have friends online, you can meet them through games. Find people in your age range who share your interests. Be careful! I’m sure you’ve heard it a million times but it’s not that hard for someone to lie to you about who they are — and it’s easy for them to get your location or address. Don’t give out your personal information, especially not until you’ve had a face-to-face chat with these guys. Parents, one way to help your kids be safe online is meeting the friends they’ve made. You can chat with them on Skype or something similar, and see exactly who these people are. The more you talk to your kids about who they meet, the more you can help them avoid malicious strangers. Definitely do some research on Internet Safety, there are more things you can do to keep your kids safe online. 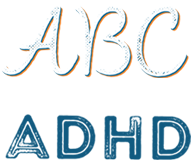 I also wanted to let you know that I have the “ABCs of ADHD for Teachers” flashcards at the printers now. Woot! This was a huge project, but they’re finally almost ready to go. We’ll have a page where you can buy them available soon. Subscribe to my email list if you want to be notified when these are ready. PS. Spring Break is the perfect time to send us a blog post and tell your ADHD story! Want to give it a try? Just send me a note at jeff@adhdkidsrock.com and my team will help you out!